Pitched roofs provide homeowners with some incredible benefits, but only with proper installation. For the highest quality pitched roof installation, Lake Oswego residents turn to Pioneer Roofers. Get more with a pitched roof installation! When a pitched roof is professionally installed and properly maintained, it can last as long as 30 years. Lifespan is heavily dependent on the quality of the materials and craftsmanship. 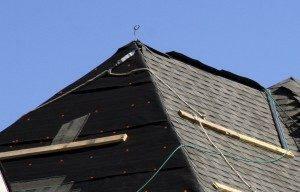 Our company only employs experienced roofing specialists. Our pitched roof installation Lake Oswego has relied on for over 20 years provides the quality you need for a long lasting roof. If you haven’t decided on what roofing type is right for you, there are many benefits to a pitched roof. Increased Space: Pitched roof installation Lake Oswego benefits include additional space. We can work with existing structures. Converting a flat roof or installing a new pitched roof leaves ample room for a fully furnished room or simple storage space. These are frequently used as guests bedrooms, offices, or even rentals. Pitched roof installation is a great way to increase square footage without expanding outward. We’ll determine your needs, and provide a flat roof with the insulation and electrical benefits you want in a fully usable space. Lifespan: You want a roof that’s designed to last. With a pitched roof installation Lake Oswego homes receive better protection from the elements because of their angular slopes. Flat roofs can lead to pooling and other rain related problems. Materials also provide significant gains in durability compared to flat roofs. In our waterlogged region diverting water away from structures is important. Our pitched roofs aren’t just made to last, they’re built to extend the life of your home. Insulation: Pitched roofs provide a much larger area to work with. This allows for increased insulation and can save on energy costs, especially during winter. This also makes for a quieter and warmer space in areas directly below the roof as well as within the roof itself. Aesthetics: With a pitched roof installation, Lake Oswego property owners have a wide variety of aesthetic options. These include gorgeous natural materials like roof tiles and wood shakes. 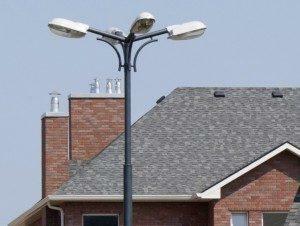 If you already have an idea in mind, our roofing experts can help you hone and refine it. We can work with a wide variety of materials that include shingles, shakes, and metal slats. You deserve a roof that’s strong and beautiful. We’ll build you one that’s both. When you want roofing designed for the Northwest, customized for you, and built to last, you want a pitched roof installation in Lake Oswego. Let our professionals provide the best for your home or business. Call (503) 281-0305 or Contact Us today.